You are one of the millions of boaters who can’t wait until spring. You are itching to get your boat out of storage and back into the water. It’s still the middle of winter, yet you are already planning for that spring day when you get to see your boat again. Well, we suppose it isn’t too early to be brushing up on how to prepare your boat for spring. After all, a spring ritual includes a lot of work including inspections, cleaning and tuning up your boat before it is water worthy once again. 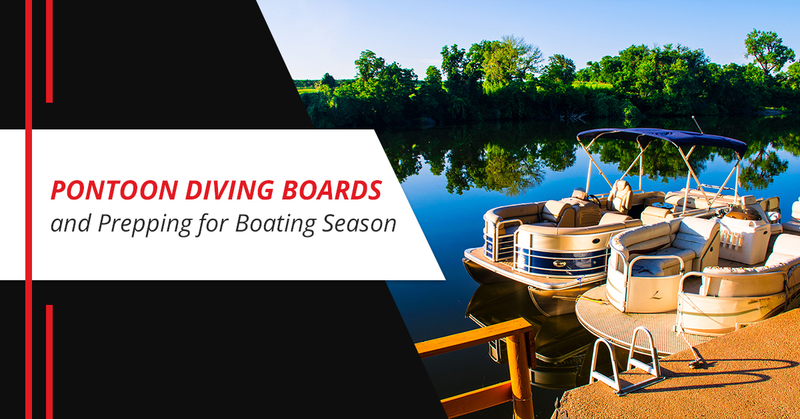 Lillipad Marine, your source for pontoon diving boards, offers tips to prepare your boat for spring. Take a good look over your boat for anything that needs to be fixed, tightened or otherwise repaired. There are many parts and components on a boat, so this can be a time-consuming job. You will want to be thorough because you don’t want to load everything up and get ready for your first launch of the season and have it postponed because you find something wrong with your boat at the last minute. Perhaps it’s time to find some new inspiration in the kitchen. You will no doubt be inviting friends and family for your boating adventures this coming summer, treat them to some new dishes you learned how to prepare this winter. The key is to find tasty recipes that you can replicate in the galley. It has been some time since you have last hit the water and you have made new friends since them. It is likely that any new acquaintances have heard about your boat, not that you were the one telling them about it. It is also likely that you will want any new friends to join you for a boating adventure. Take some time this winter to ensure you have life jackets for your new guests. Right now is the perfect time of year to get a great deal on the new boat gadgets you have been wanting. It is also the perfect time of year to pick up some new outfits for your boating adventures. There is just nothing as satisfying as buying shorts and tank tops in the dead of winter. Make sure your battery is in good working order by having it tested. It might seem to be working fine, but only a test will tell for sure. Also, check the terminals for corrosion and clean them if necessary. Change the oil in your boat engine and change the filter as well. Start the boating season with fresh oil. Remember to set aside a little time to have your trailer checked out. Your boat can be in perfect condition, but if your trailer can’t haul it, you can’t go boating. Winter is also the perfect time to order a diving board from Lillipad Marine. Visit our website for details.